The co-founders of Peptomyc have published the results that propel Myc inhibition by Omomyc from proof-of-concept to fully-fledged strategy for clinical Myc targeting. 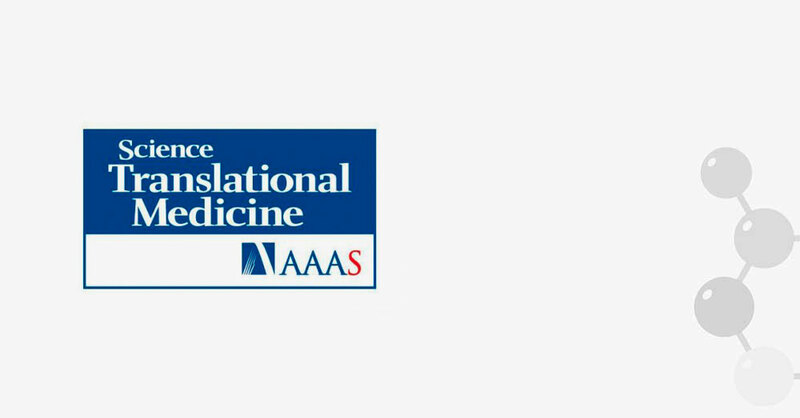 The paper was published by Science Translational Medicine on 20thMarch 2019. Study lead author Marie-Eve Beaulieu – former postdoc in Laura’s lab and now CSO of Peptomyc – along with senior author and Peptomyc CEO Laura Soucek, developed the work from first proving that Omomyc possessed intrinsic cell penetrating properties to demonstrating that it could be administered in vivo to treat lung cancer. Members of Laura’s lab at VHIO as well as the Peptomyc scientific team contributed to the publication that also includes an in depth characterisation of the mini-protein’s effects and pharmacokinetics. Several invaluable national and international collaborations helped bring the story to fruition, including groups from the University of Sherbrooke (Canada), Syros Pharmaceuticals (Massachusetts), and CIEMAT (Madrid). The results generated substantial interest from the news media, being featured extensively on television and radio news and interview programs, in the press, and online science news sites.